Stadium concerts are great but, if you ask us, intimate gigs are always better. Bonus points if, along the way, you can discover some new music, which at little gigs you often do. Ever since I wandered into my first Sofar Sounds gig in an Oxford church back in 2011, I've been sure they were on to a winner. 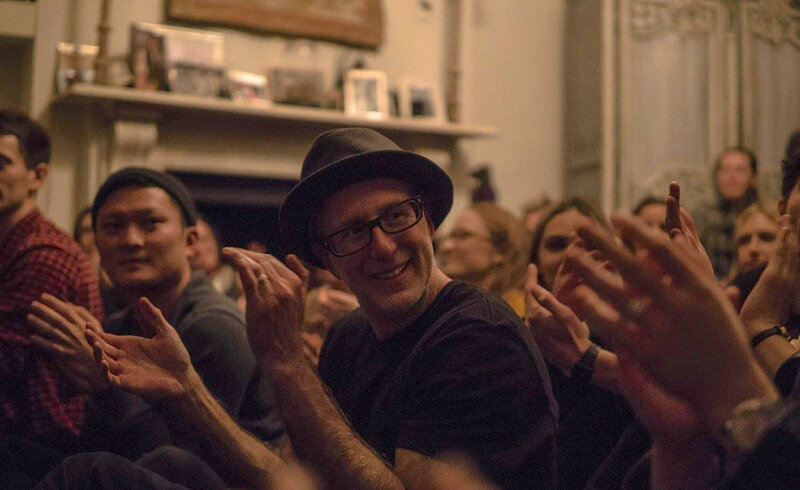 Founded in 2009 by Rafe Offer, Rocky Start and Dave J, Sofar Sounds has been going from strength to strength transforming ordinary spaces - living rooms, bookshops, town halls - into venues for secret live shows across 408 cities around the globe. Who better to ask for advice on how to put on a gig, then, than founder Rafe Offer? Brace yourselves for some pearls of wisdom. When and where did you the first Sofar Sounds happen, and how did it go? A couple of friends and I were a gig in London and there were so many distractions. The crowd was talking over the performance, the sound system wasn’t great and people were constantly on their phones. We noticed this was becoming more and more common to see at concerts and we felt like live events could be a better experience. Our first show was really casual. My friends and I gathered about 8 people into a living room in London. One of them, Dave Alexander (a musician at the time), played us some songs on his guitar. We had some drinks, sat on the floor and just listened. I remember it was so quiet, you could hear the grandfather clock ticking in the background. Soon, friends and friends-of-friends were doing the same. We were seeing this movement grow to cities beyond London and we officially launched Sofar Sounds in 2009. Hiring the right people is important. We have an incredible team at Sofar and so much of it has to do with more than just a person’s technical skills. A lot of it also comes down to a culture fit, as well. When your heart says one thing about a person being right for the job — because of technical skills or maybe you’ve known then for a long time — but your gut tells you another thing, trust your gut. When you’re getting a project or business off the ground, how you build your culture matters immensely. How are the Sofar Sound line-ups curated? Sofar lineups are carefully curated by our city teams to provide a diverse range of talent and genre. No two shows are alike. Artists apply through our website, providing us with a sample of a live performance. Music is reviewed through our global community to ensure that we are diverse in our offering. Whether you’re a singer-songwriter, poet or jazz band, we want to hear you play! Over the years, we’ve hosted in some of the most incredible venues. We love spaces that feel both intimate, and often unexpected. We began hosting Sofars mainly in peoples’ living rooms, but now we’re hosting in unique places around the word. Some of our favourites include an Olympic ski jump in Norway, a moving tram in Poland, a boxing ring in London and a beautiful Manhattan rooftop in the summertime. On a limited budget, nothing beats organic, word-of-mouth marketing. Figure out early in your journey how to clearly explain what your product is and its value to someone engaging with it. Make your product so good that people are compelled to talk about it naturally — and be sure to continually engage via social media and other touchpoints with your early adopters and biggest fans.